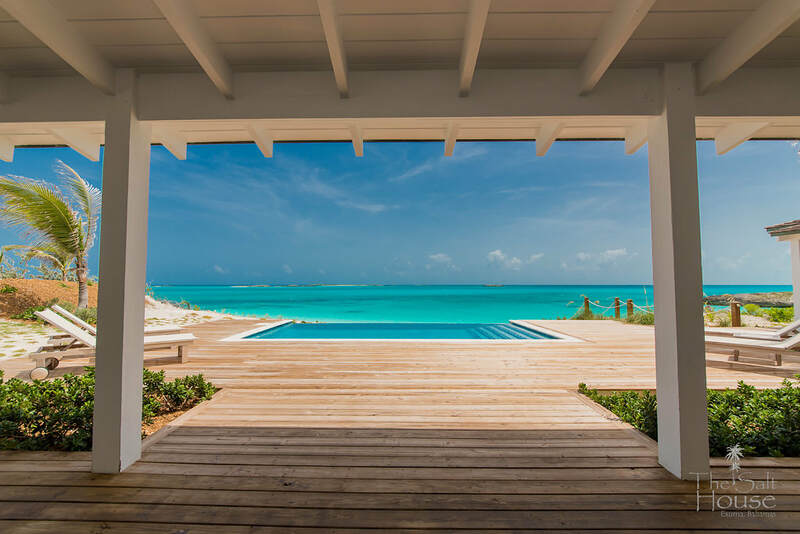 We've all seen pictures of the views from infinity pools and we stare in awe...imagining how amazing it must be to experience it in person. 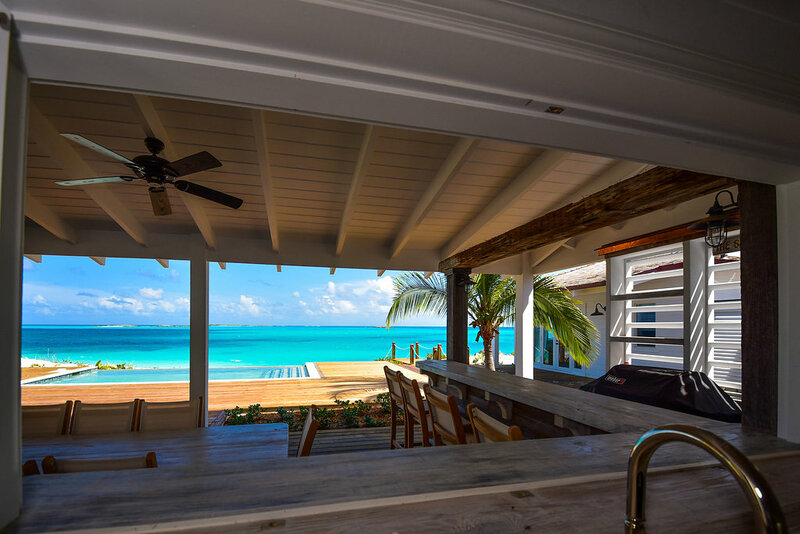 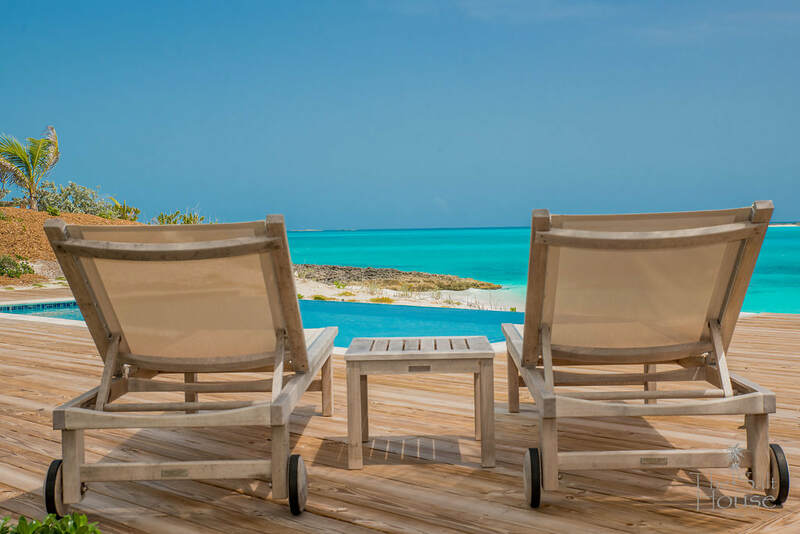 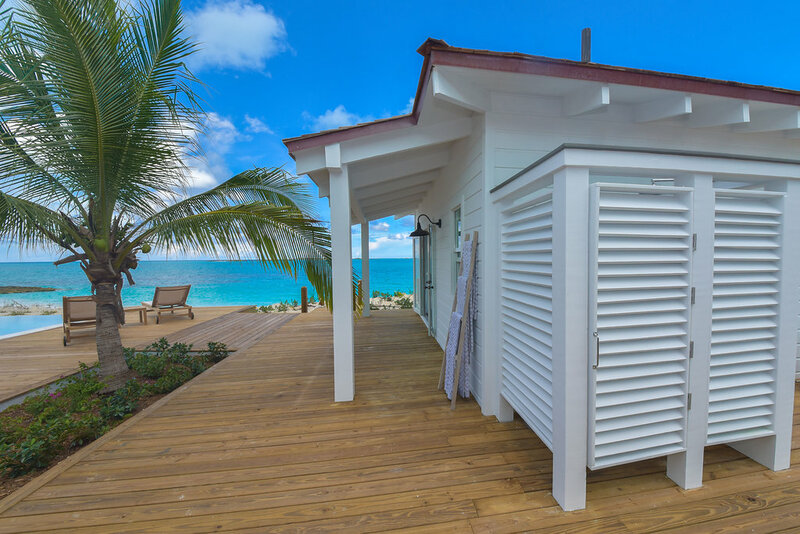 At The Salt House, the warm Bahamian sun shines down on you and the sounds of the waves lapping on shore below enhance that experience. 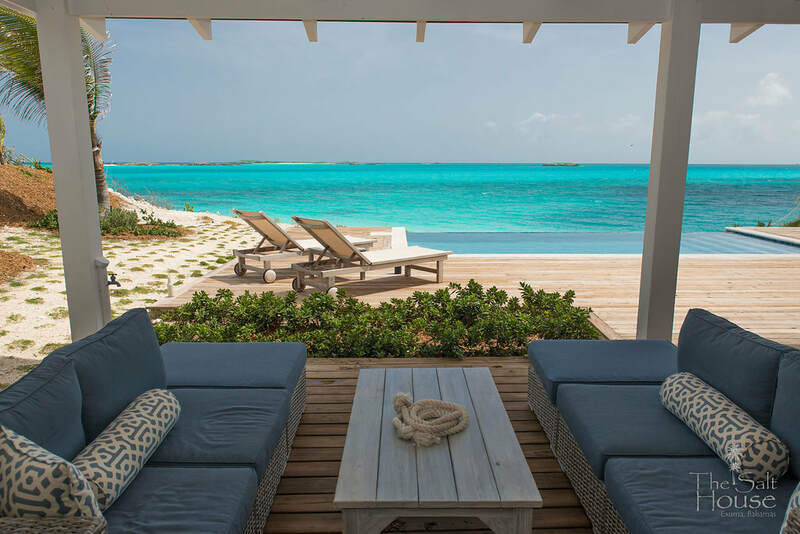 At 24 feet wide and roughly 12 feet across, the pool gives you plenty of room to hang out and take in the views that seem to go on forever. 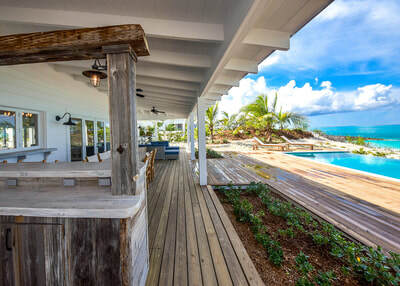 The pool deck will be the spot to hang out and socialize and features plenty of lounging spaces with comfortable teak wood lounge chairs to layout on and comfortable outdoor couches to relax on under the covered veranda. Tropical landscaping integrates seamlessly with the pool and deck and ensures you're never out of sight of those swaying palm trees and turquoise ocean you've been dreaming about. 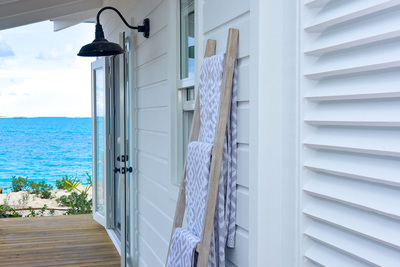 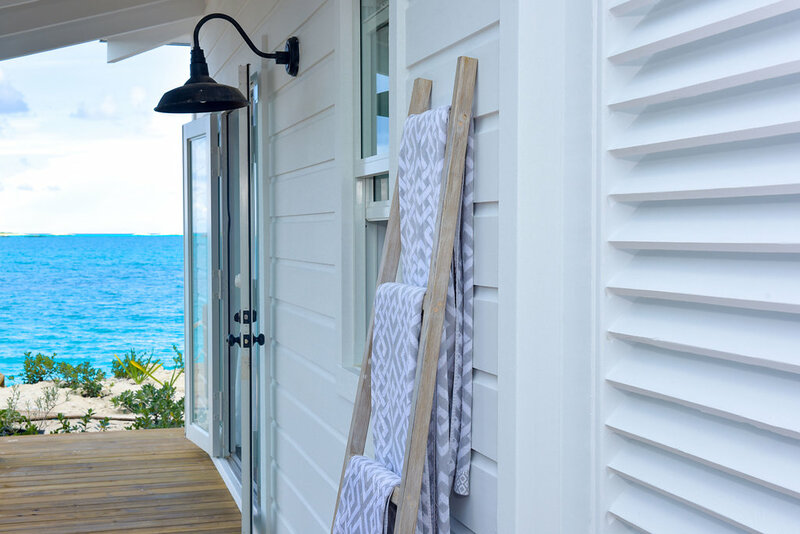 The pool deck also leads to the private outdoor shower located off the Beachfront Cottage. 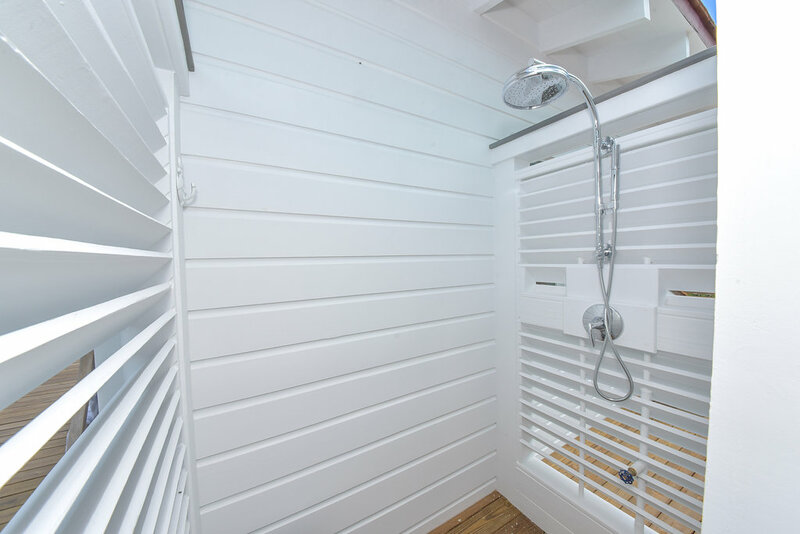 The shower was designed with privacy in mind in order to take a shower under the sky, but also makes it convenient for washing off the sand and salt water after spending time on the beach. 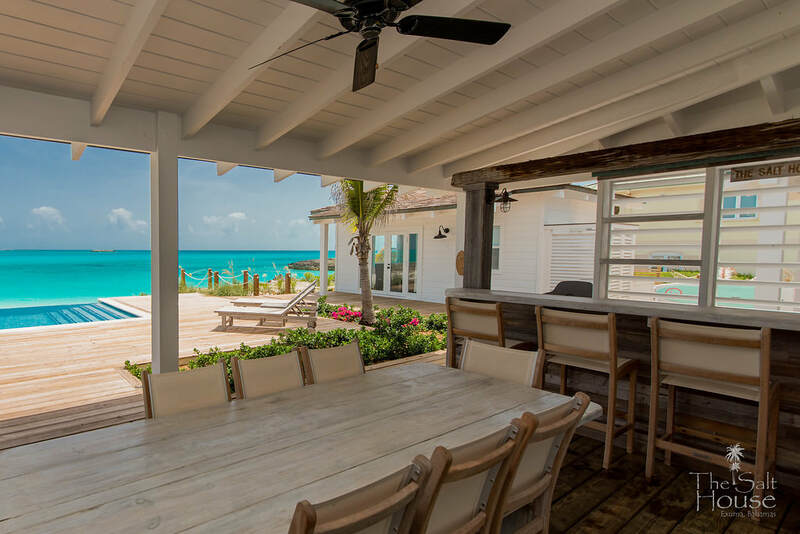 Dining outside with family and friends is key to a great vacation. Whether it's breakfast and planning out your activities or dinner and celebrating another memory-filled day, the locally built dining table encourages you to enjoy your time together. 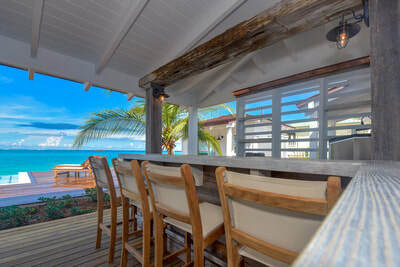 With the kitchen just inside, the window over the kitchen sink slides wide open to make it easy to pass food and drinks out to the table. 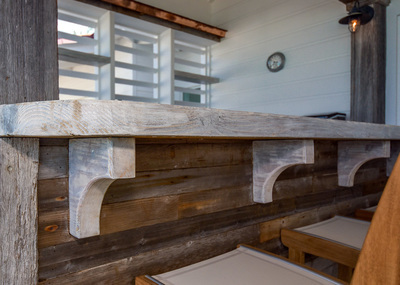 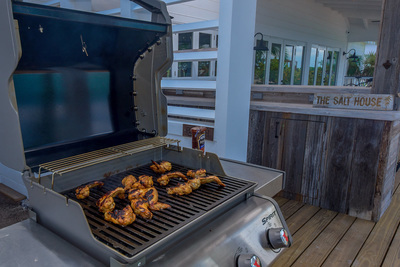 The grill is just steps from the table and adjacent to the beach bar. The wow factor makes is always 5 O' clock. 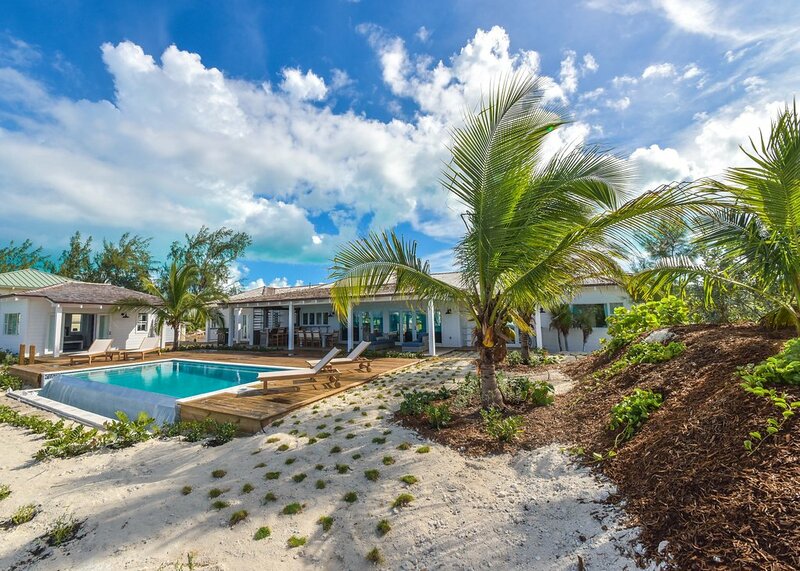 As we push for sustainability, the pool will be heated by a solar pool heating system. The system will take advantage of over 300 days of Bahamian sunshine per year to warm the pool up in the cooler months.